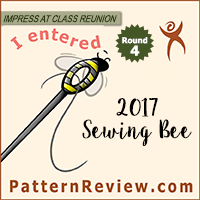 I thought I would do an end of the year recap and choose the Best of BS and BWTF awards for both individual patterns and for magazines as a whole for the 2011 year. 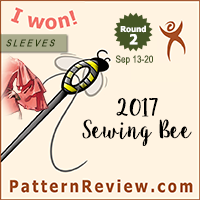 Individual patterns must have been chosen as the Best of BS/BWTF for their respective month, but any of the magazines can win or lose as a whole, regardless of if they have the best or worst pattern contained within that magazine. My choices won’t depend so much on weather I have made the patterns from these magazines, as it would give the later months a disadvantage, but more on how many total patterns I want to make up, and how many good/bad/average patterns are contained in each issue. Firstly, however, to even the odds a bit, I need to announce choices for the Best of BS/BWTF awards for the months of January through April. I own the February and April magazines, and have looked through the patterns for January and March. These magazines came out before I had started my blog, and hence don’t have review posts. However, it seems unfair to ignore them, so I will post the nominees here. In general, I try to use the line drawing to determine best/worst, although the photograph can influence the decision if Burda’s example is exceptionally good or bad. Also, though I fall in the Burda general size range, I consider all patterns from an issue including petite, tall, and plus sizes. Just because a particular pattern isn’t made exactly to fit me doesn’t mean it can’t be brilliant. Love this gown, though I don’t really have occasion to make or wear it. 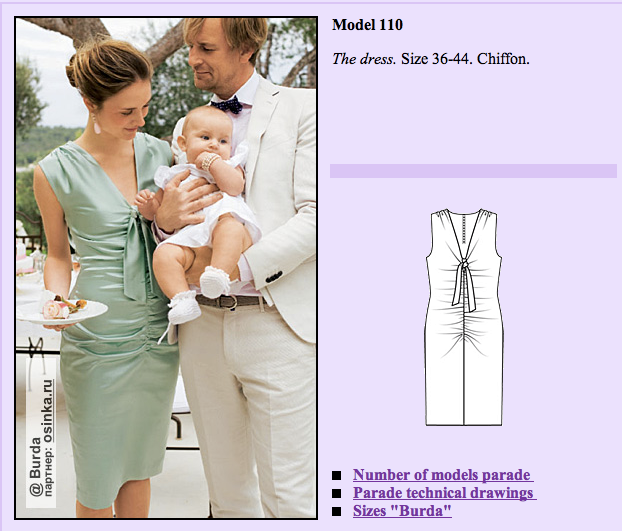 I think it is modern and elegant though, and I love the one shoulder and the shape of the skirt. 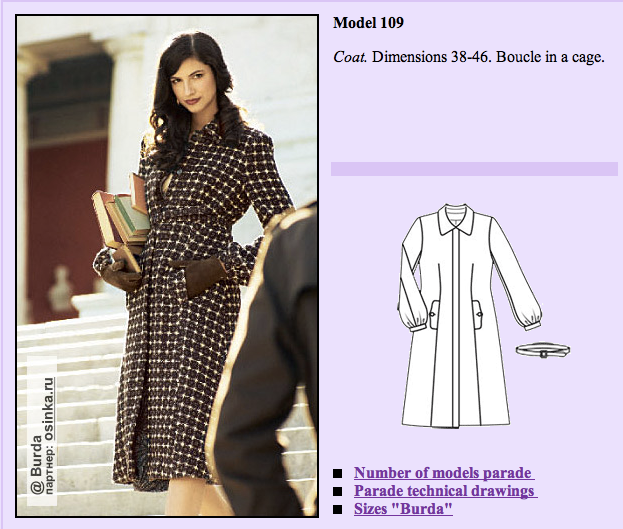 I love that coat pattern – classic, elegant, simple. But the photographed version is stunning. I am still obsessing over the pattern in the fabric that makes it look like tooled leather; just gorgeous. 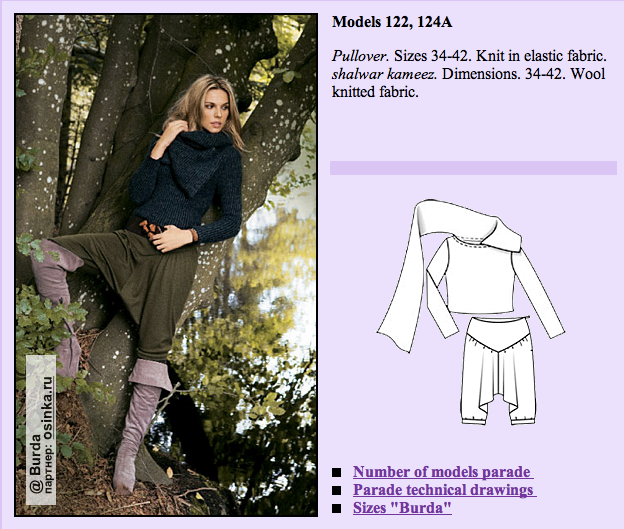 This is the one pattern I obsess over, but haven’t made because I simply can’t find fabric to do it justice. I love the details on this dress! I love the overall shape, the sleeves, the bodice, the skirt. I want to make it as a dress, as a blouse, and as the dress with the other style of sleeves. 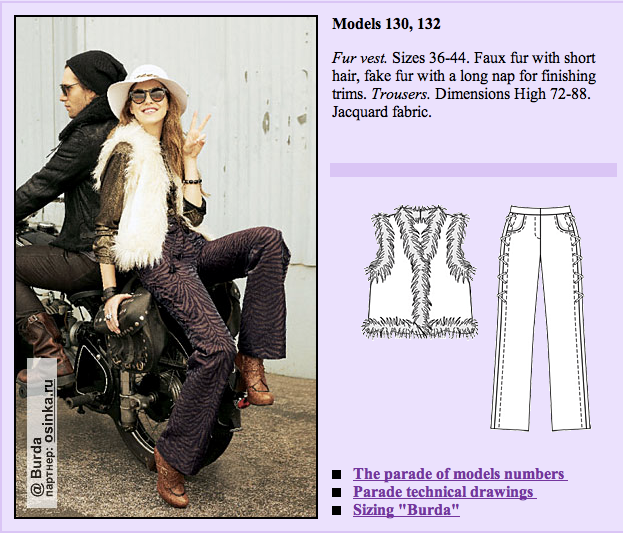 Burda made it three ways, and I want to as well. Now, as for the BWTF awards, I had a bit of the opposite problem – they are all just so hideous! How could I narrow down the fugly? This was quite the difficult decision…. 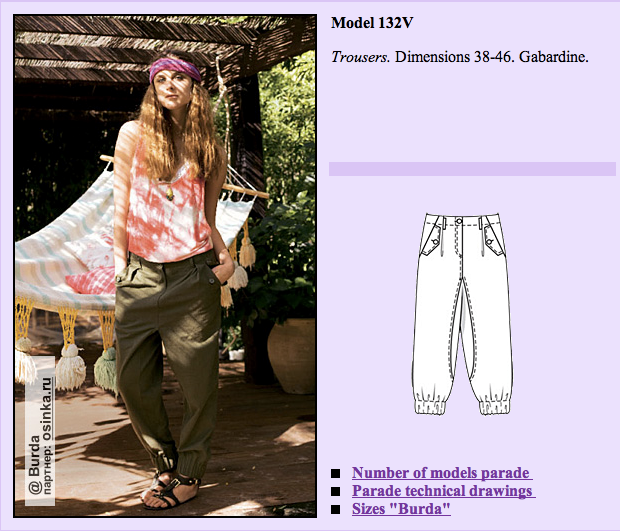 Crazy pants! Honestly, who would wear these? They are just crazy looking, and I don’t care if they are a knock off of some big designer. No. Just no. World’s most useless bikini. Looks like it is made of quilting cotton, it really can’t be useful for the beach, and it looks saggy, old, and ugly besides. Don’t even get me started on the matchy-matchy bag. Just awful. 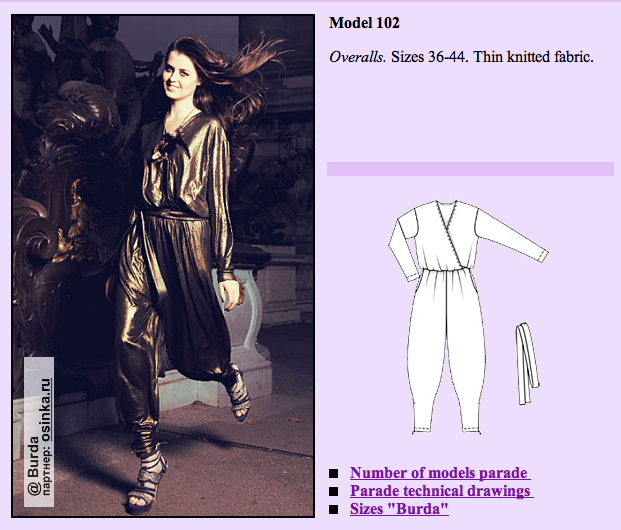 I was debating between September and November, but those pants just make the November jumpsuit that much worse. Although the color from September is really detrimental there. I considered awarding spots to both of them, but I thought having two jumpsuits in the bottom 3 was overkill. At this point, I would like to award the BWTF Monthly Issue awards. 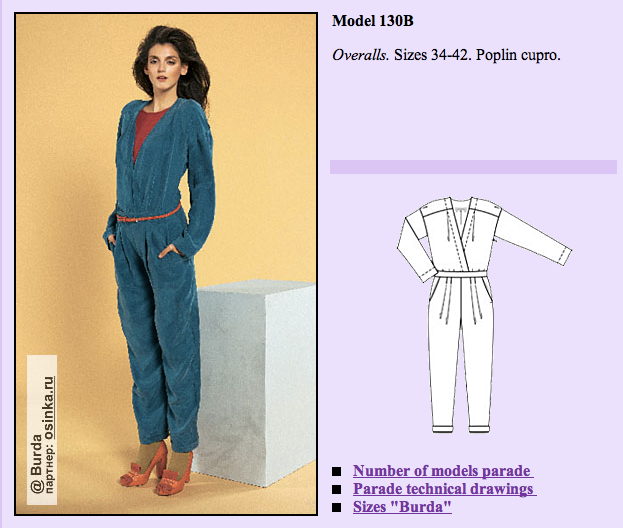 These are the worst issues of Burda for the year, either because they had too many similar patterns or all of the patterns contained therein were not good. Filled with boring wedding gowns, blah separates, and whatever styling, I would have to say this is not one of the best issues of the year. Although there is a pretty dress, an interesting jacket, and one pair of great looking pants, overall this issue doesn’t really have much going for it. While I understand the desire for easy beachy summer clothes, this issue just didn’t have much in terms of interest. Too many of the dresses were boxy sacks, and not many of the other pieces had any distinctive or interesting details. While some of the pieces are ok, there was nothing fabulous or stand out in this issue, which keeps it in the bottom for me. As if there was any doubt. Ugly 80s colors, crazy jumpsuits, dirndl skirts, and avocado goiter pockets are just the start of the problems with this issue. If it had just been a styling thing, I probably could have found some redeeming qualities, but not even the line drawings of the patterns are inspiring. No doubt in my mind that this has to be the worst issue of the year. And now, finally, time to award the Best of BS Magazines for the year. This issue had FAB-U-LOUS gowns, and while they may not be practical, they are stunning. This issue had quite a few other interesting pieces (the jacket-cape), and the photography and styling were for the most part quite good. However, the lackluster plus section knocked it from second down to third position. I loved the mix of gowns, party dresses, tops, skirts, and jackets in this issue. Lots of holiday appropriate clothes that could be used year round. I thought both the regular and plus sizes had a good mix of patterns to choose from, and I liked the styling choices for most of the sections. I am still obsessing over the trench pattern as well. Although there were a few miss-steps with the bow blouse and square shirt patterns, overall this was a quite good magazine and full of some lovely additions to any home-sewer’s wardrobe. Don’t let the crazy cover fool you – this was by far the best magazine of the year! Along with trendy items (capes and yeti vests) this issue included some fabulous classics – great blouses, pants, coats, and dresses all in the same magazine. Although I have yet to make anything from this issue, I predict it will be one of my most used magazines in the future. So, how did I do? Did I miss one of the great patterns? Am I off base in my picks for best and worst? Which issue was your favorite? Least favorite? 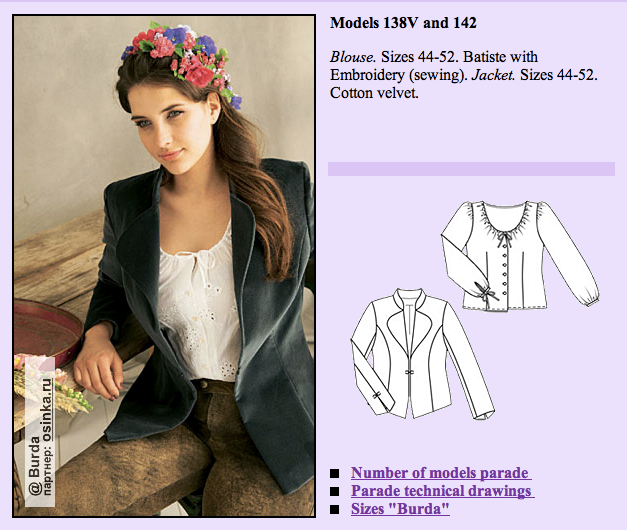 Please feel free to start a discussion in the comments section – which Burda patterns are you going to be making in the coming year?